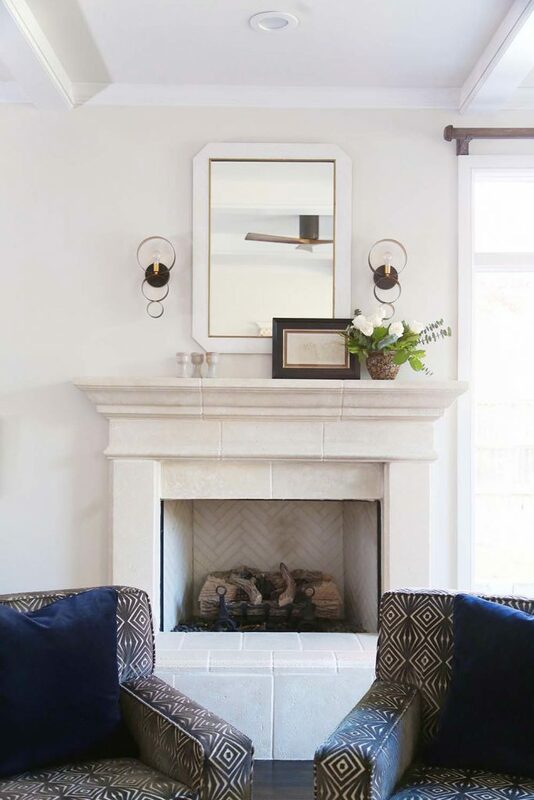 A Tulsa designer utilizes some original pieces from the home for a fresh look. 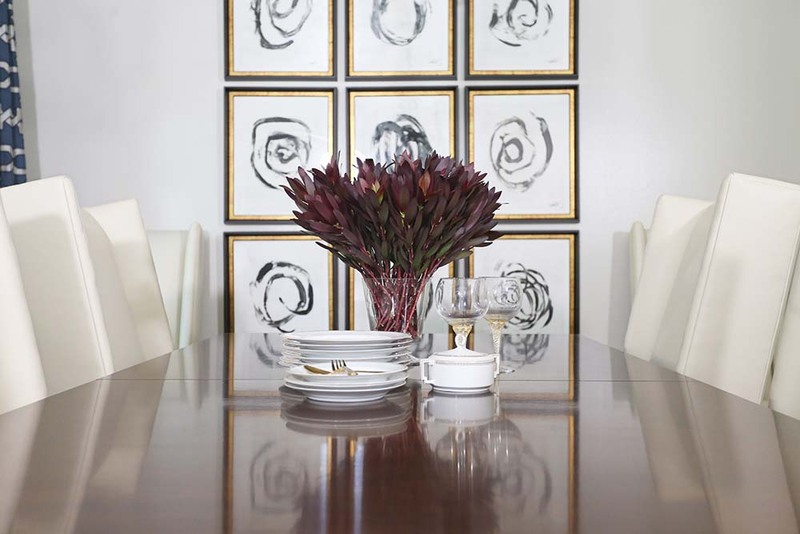 Sometimes the biggest challenge for an interior designer is living up to client expectations. 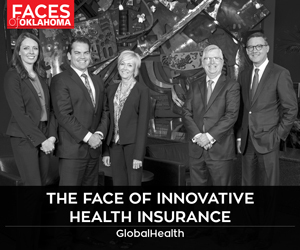 That was the mission for Tracy Huntington when a couple moved from Texas to Tulsa and wanted to work with her based upon her references, website and design portfolio. The home, in a historic neighborhood near Utica Square, needed an updated, fresh look. A variety of chandeliers and light fixtures are unusual design interests, especially one in the dining room fashioned of gold brass leaves. The homeowners “favored a mix of classic and modern, and they let me design what I thought would work best for this home,” Huntington says. The 4,500-square-foot home, built in the 1950s for a growing family, includes a large game room and 4½ bathrooms. 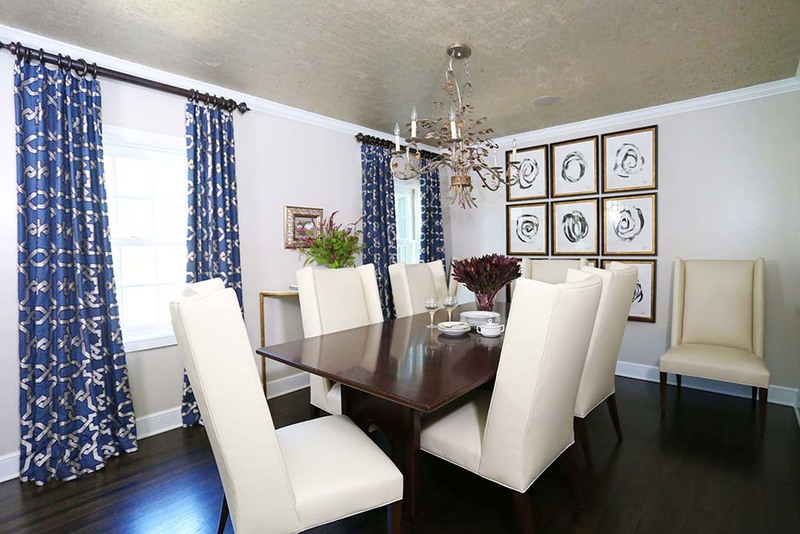 In transforming this home, Huntington began with creamy white walls. She also removed some walls to create a smoother traffic flow throughout the living and entertaining areas. A medium stained wood floor complements the wall color. The living room is the central gathering place for the family. An oversized blue velvet sofa is accented with two large leather ottomans, providing ample seating for guests. 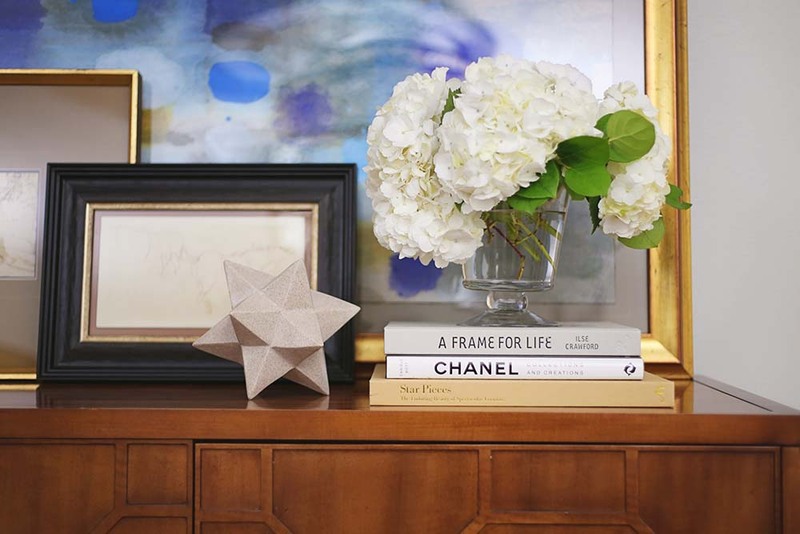 A gallery wall of art is also a conversation piece. 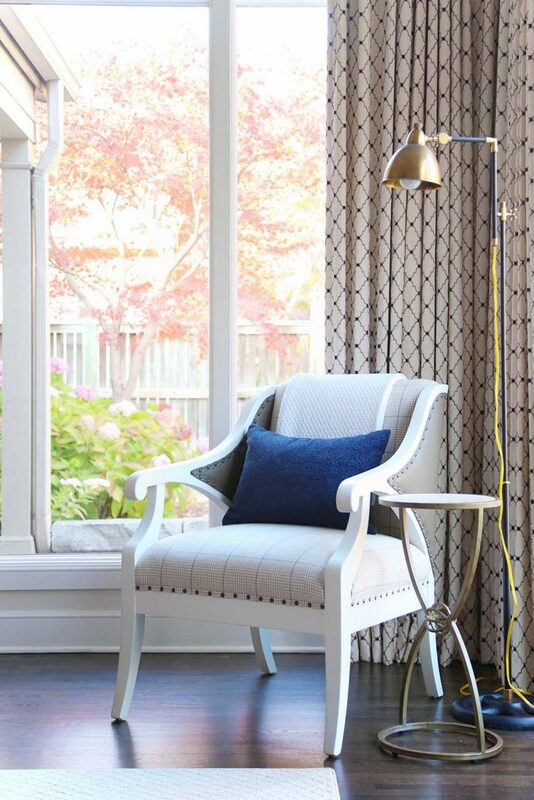 The formal draperies feature an elegant geometric print, framing the windows overlooking the back lawn. Design drama is a hallmark of the coffee room. With an eye-catching chandelier and a portrait of a horse presiding over the room, this is a comfortable, inviting setting for morning coffee. 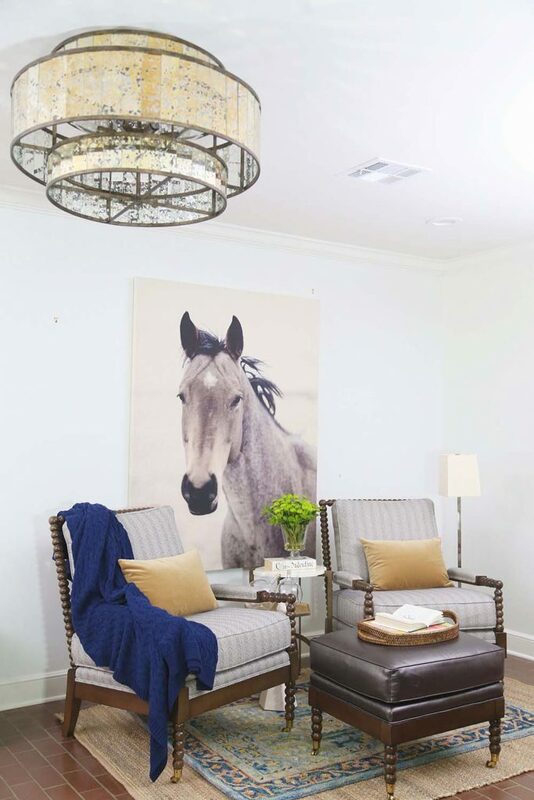 That is particularly true in the coffee room, where a painting of a horse dominates the decor. A custom-made television cabinet, accented with antique fretwork, is also a focal point in this room. 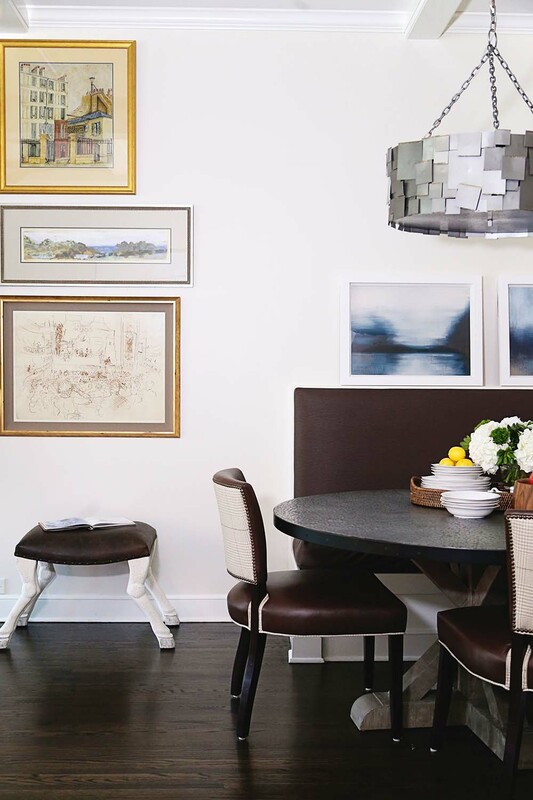 The pleasing mix of artistic textures is a subtle design feature throughout the home, especially with the various chandeliers and light fixtures. One in the dining room is fashioned of brass leaves. This chandelier is an example of the owner’s desire to incorporate touches of nature – real or faux – throughout the decor. 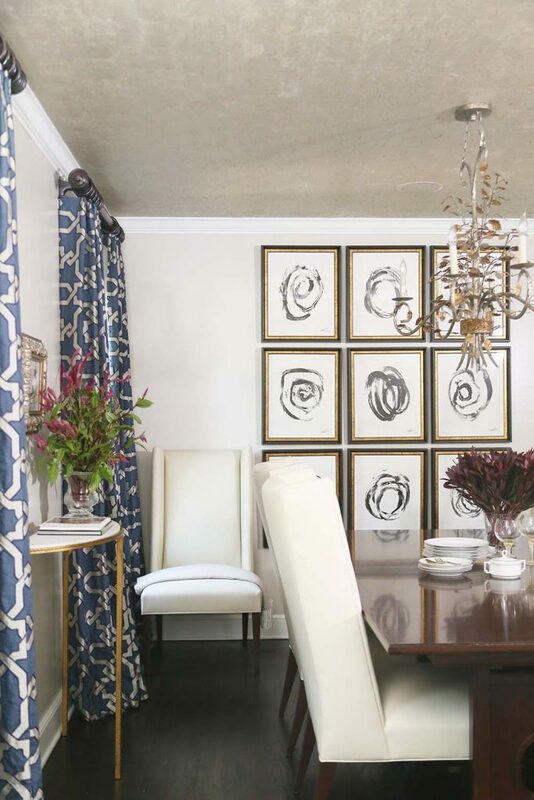 Huntington’s clients favor exquisite Schumacher and Scalamandre wallpapers, Hickory Chair furnishings, Benjamin Moore high-gloss paints and Currey and Company accessories, available only to the design trade. The dining room is a particularly interesting study in textures. 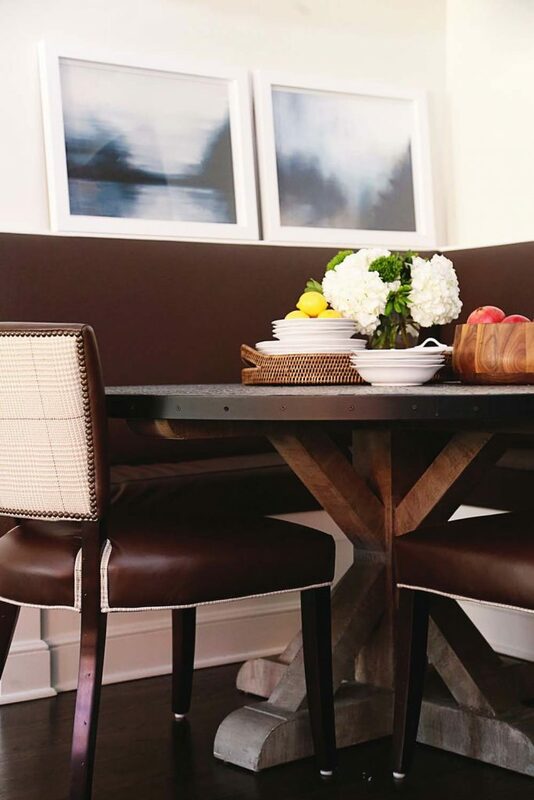 The dark-stained mahogany table is flanked with custom-made chairs, upholstered in full-grain cream leather. 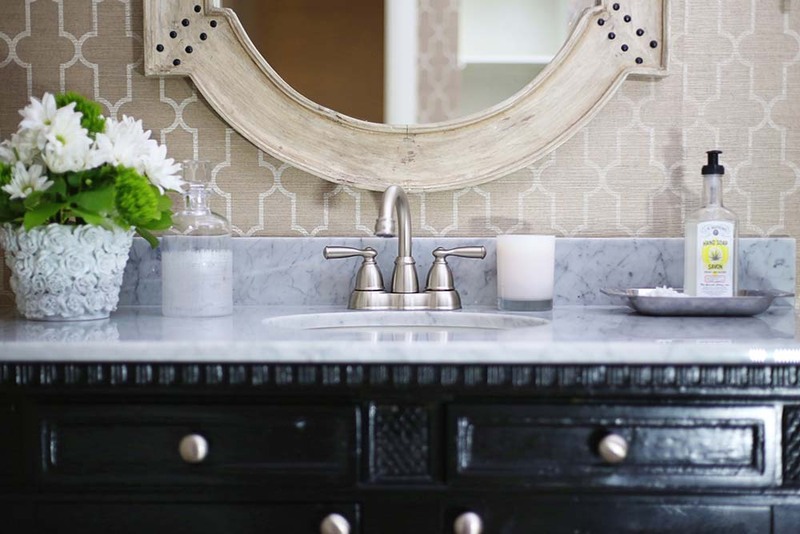 One of Huntington’s favorite design themes is keeping existing furnishings or cabinets and giving them a fresh look with special paints or varnishes. That worked well in one bathroom. The master bedroom and bath are the crowning glories of this home. The king-sized bed is accented with cognac leather bedside tables, hosting Ralph Lauren-designed lamps. A Walker Zanger marble floor anchors the master bath and shower walls. 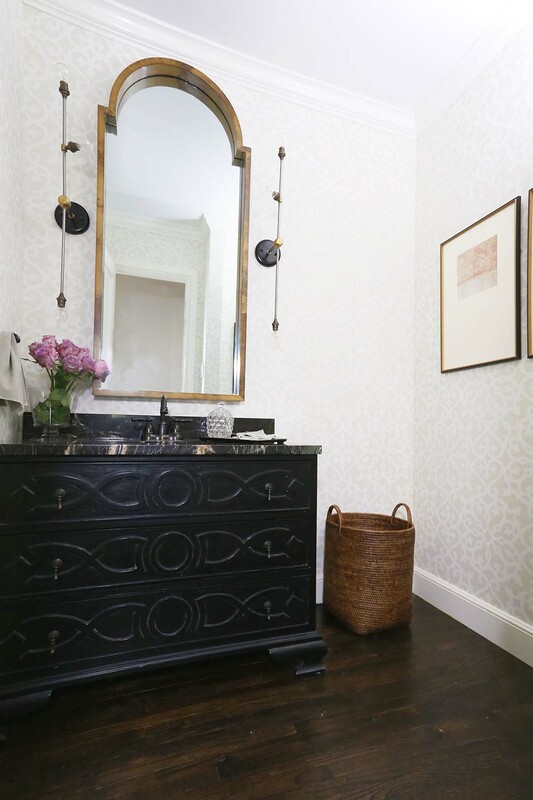 The vanities complement the room’s updated decor. 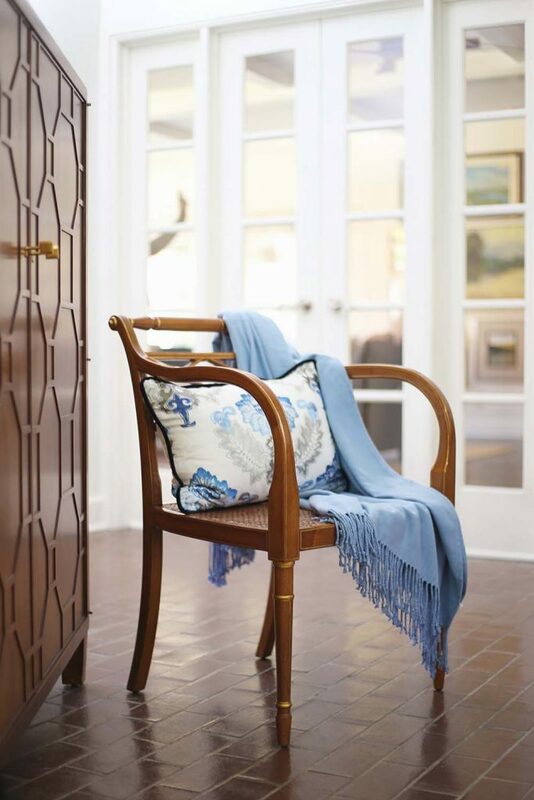 Each room reflects a distinct personality, accented throughout with those ribbons of blue, binding Huntington’s refreshing, updated look for this vintage home.